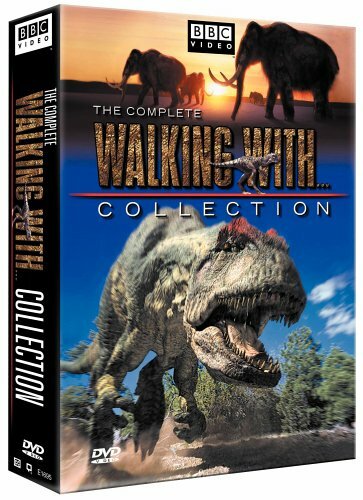 Finally all three programs from the Emmy Award-winning Walking with... series--Walking with Dinosaurs, Allosaurus: A Walking with Dinosaurs Special, and Walking with Prehistoric Beasts--are available for the first time as a collector's set on DVD. The epic begins with a journey back 65 million years ago to a virtual lost world which has been recreated with spectacular digital effects and animatronics. The series continues as we follow the life and death struggles of "Big Al," the most complete allosaurus skeleton ever found. And finally, we explore our planet after the reign of the dinosaur and the succession of extraordinary creatures that came and went over the following millennia. The end of the dinosaur was only the beginning! If you have any questions about this product by BBC Video, contact us by completing and submitting the form below. If you are looking for a specif part number, please include it with your message.